Gareth Bale was reluctant to court controversy by making any comparisons between Zinedine Zidane and Julen Lopetegui in an interview published by the Daily Mail on Sunday, but it is clear that, in the space of three months, the Welshman's situation at Real Madrid has undergone a complete U-turn. After all, at the end of last season, Bale's days at Real were numbered. He no longer had Zidane's confidence, and appeared odds-on to be sold. 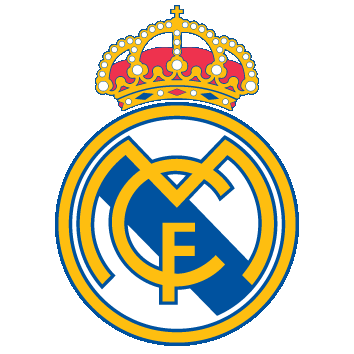 Zidane appeared to fall back into line with the Real hierarchy's 'bbC' fixation when the following campaign got underway, but gradually began to embrace a 4-4-2 formation that offered the side a greater degree of midfield industry and proved to be to the detriment of Bale's first-team role. Having endured an injury-hit start to the season that saw him miss 14 games (after picking up his umpteenth calf issue and later suffering a relapse), the former Tottenham man made an encouraging comeback in the Club World Cup, but could not keep that promising form up consistently - and that state of affairs, allied with Zidane's unwavering faith in Karim Benzema, cost the Wales international game time. Once a nailed-on starter, he was now a mere accessory. February's Champions League last-16 first leg against Paris Saint-Germain marked the beginning of the end for Zidane and Bale. 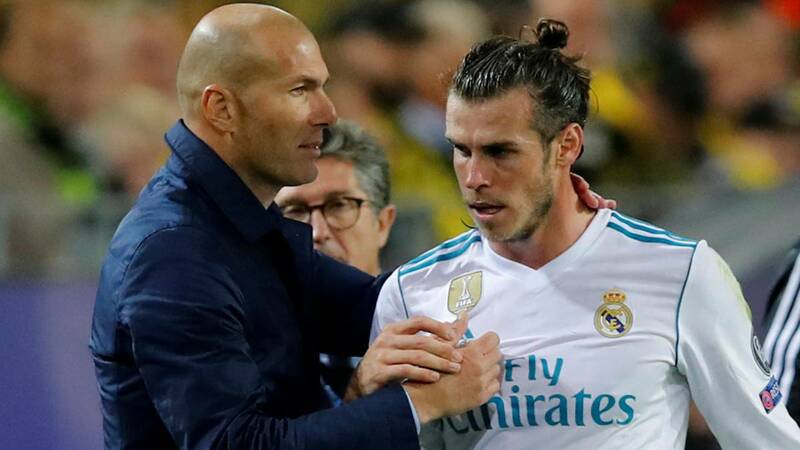 The coach left the player on the bench on what was then the most important night of the season, and, as his national manager revealed, Bale was not happy about it. He was seen yawning on the bench, and was in no rush to get stripped when he was told to get ready to go on. Finally, he ignored Sergio Ramos when his captain called him over to the centre circle to applaud the Bernabéu fans. Head down, he made his way straight to the dressing rooms, a snub he then repeated in the return in Paris, where he was also a sub. Bale returned to the XI in the following game, against Real Betis, but was replaced in the 73rd minute having failed to win the ball back once, completed one successful dribble and spurned two shooting chances inside the area. "He played his game," was Zidane's laconic summary of his performance. Bale was making less and less effort to hide his disillusionment. Named as a substitute at Leganés, he even left the dugout and went down the tunnel while the first half was being played, before in the Champions League offering a lukewarm reaction to Cristiano Ronaldo's opener at Juventus and, having started the second leg against the Bianconeri, responding with a smile when the Portuguese urged him to be more aggressive. Zidane promptly sent on Vázquez in his place, omitted him from the squad for the next game, against Málaga, and left him on the bench against Athletic Bilbao. Zidane's loss of faith in Bale was clear: he got minutes in LaLiga, but when it came to the Champions League, his drop down the pecking order was evident. Against PSG in the last 16, he was a substitute in both games and featured for just 36 minutes; in the last eight, he was unused in the opener with Juventus and, with Real 2-0 down, was withdrawn at half time in the return; and in the semis against Bayern Munich, he played no part in the first leg and got just 18 minutes as a sub in the second. That was the scenario as Real headed into the final against Liverpool: in the crunch European clashes, he was a bit-part figure. Zidane had settled on the Isco-Cristiano-Benzema attacking triumvirate, and at times even preferred Asensio and Vázquez to Bale when looking to freshen things up. We all know what happened next: he came on after an hour in Kiev, and won the club's 13th continental crown with an astonishing overhead kick, plus a powerful drive that keeper Loris Karius allowed to squirm through his fingers. 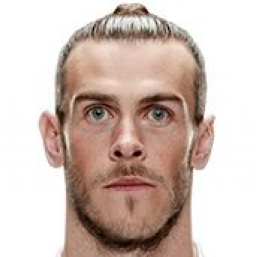 Despite collecting his fourth Champions League winner's medal, a downbeat Bale opened the door to a summer exit in his post-match interviews, admitting: "I need to be playing week in, week out and that has not happened this season. I have to sit down with my agent in the summer and discuss it." But in the close season, everything changed. Zidane unexpectedly resigned, with Bale the only member of the first-team squad not to publicly bid his coach farewell. Soon after, Cristiano also left, bequeathing his status as Real Madrid's franchise player to the Welshman, who went from having one foot out of the door to being the spearhead of the team. He now enjoys the full confidence of his coach, is once more a certain starter and, thus far, appears to have shrugged off his injury struggles; indeed, he looks in better shape than ever. All the ingredients are there for this to be his moment.